To all the little princess's out there. Burleson Limousine loves the Hispanic culture especially its fine food, arts, work ethic, music, and traditions. One thing that really stands out is the way they go all out in celebrating their little ladies. In tradition of the Latino culture the parents put together a special ceremony and big celebration called a QUINCEAÑERA. This celebration depicts the pinnacle of the teenage years of that young lady. Not a coming of age but more of a high point of being a teenager and starting the journey into adulthood. This custom normally consists of a church ceremony where the priest or pastor would give a sermon on the subject, pray for the young lady and bless her future. In addition, its followed by a gigantic all out celebration! Where the family and friends come together in the killing of a young calf and major BBQ afterwards. Fajitas, ribs, steak, tripas, guacamole, rice, beans, home made tortillas, salsa, and a cake that reveals even the best of wedding cakes. All this is followed by the very best in live music or DJ with traditional dances where the Father gets the first dance with the lovely youth. There is only one thing that could make this a better night; one of our outstanding limousines from our lot. What better way to say, I LOVE YOU, than to drive up at home and pick her up in style. 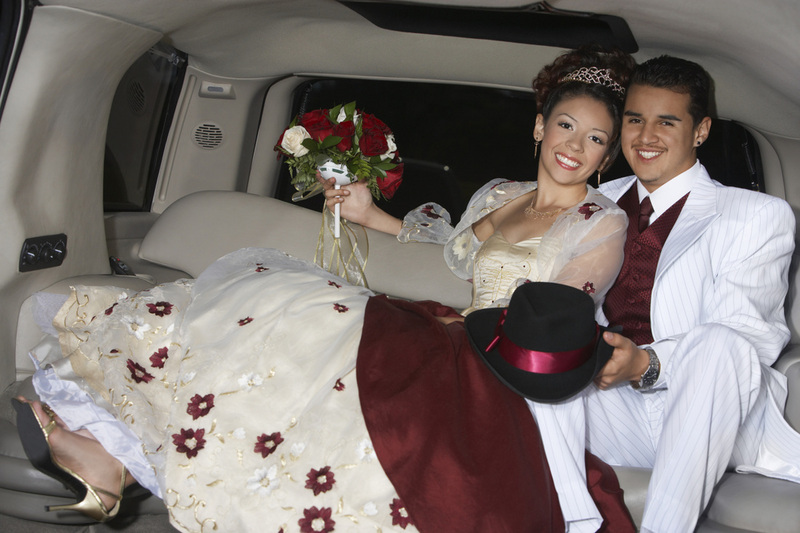 We have specific limos just for this occasion and are ready to accommodate you right now.